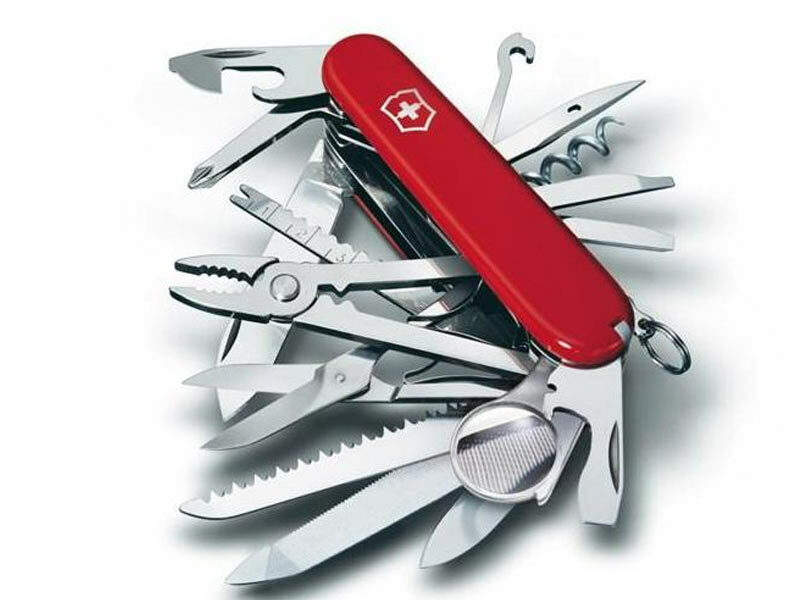 The Iconic Swiss Officer's knife, first produced in 1897, forms the basis for the entire range of modern Folding/Pocket tools, which still embody the original virtues of functionality, quality and user friendliness. The extensive range of models is continually being revised, and you are therefore sure to find the right Officer's Knife for every application and life's adventure that you may embark on, be it the urban jungle or bush. Often copied, however never equalled the Victorinox Original Folding/Pocket knives proudly bear their brand on each main blade, and are identifiable by their attractive red shiny cellidor handles with metal inlaid Swiss Cross.